Better court maintenance is, by quite a wide margin, the court improvement you would most like to see, according to our recent survey of local courts. It was the first or second priority for 58% of the 206 respondents who took part, followed by more courts (39%) and floodlights (37%). In other words, the opportunity to play even more tennis on more, better, and well lit courts are your top three priorities, and they are even more important than cost. Cheaper court prices was knocked into 4th place (35%) by these other improvements. Three quarters of you say Local Tennis Leagues is important to your courts and having the facility close by is also key. Most of you choose courts because of their convenience (85%) and 65% of you get there in under 15 minutes. Perhaps the most worrying finding is that only 52% of you say children are made to feel welcome on your local courts. Environmental concerns also rank high with 24% of you wanting ball recycling facilities. 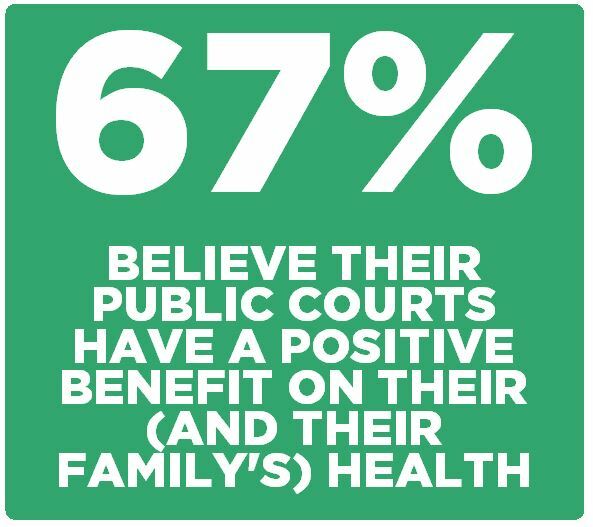 But overall, public courts are clearly a highly valued resource with 67% saying they have had a positive benefit on their (and their family's) health, 58% of you using up to 3 venues, and 70% of you using them once a week or more. Most people play on park courts (69%) run by the local authority (59%) and you get there either in the car (38%) or on foot (33%). Although court prices have risen steeply in some places as we are often made aware, this survey suggests tennis may be becoming more affordable. Almost a third of you (30%) play on free courts and almost two thirds (60%) pay an annual fee of £25-£50. Of this group, 70% then get free court use. Perhaps this is a model which could be rolled out further if it can provide long term sustainability for councils. Meanwhile, a way needs to be found to maintain the fantastic resource we have.